When Alexis Sanchez arrived at Old Trafford in January, he was supposed to be the answer to the attacking players at Manchester City. Given the fact that United had beaten the Citizens to his signing, it felt like the turning point as it meant United still had the pulling power to attract the best players in world football. Nine months later, the Sanchez that Manchester United thought they were getting has still not shown up. He has been poor, atrocious and every word that describes a person not living up to expectations. He has just 3 strikes in 23 matches for Manchester United, a poor return for a player that earns around £350-a-week, he should be doing better. It is perhaps time that Jose Mourinho, the man in the dugout takes the bold decision of placing the Chilean on the bench. Since the start of the season, he has endured with the player, who has shown nowhere near the quality that saw him score 30 times for Arsenal in 2017. He loses possession too many times and generally looks like a man who is not interested in playing anymore, just content with picking his fat paycheck. Perhaps the style of play and lack of understanding is affecting his form, but his dip in form for a player that was held in the same bracket as Eden Hazard as the best wideman in the Premier League is unbelievable. A time out on the bench will do two things: get him to fall in love with the game once again and take him out of the firing line from his critics. When he comes back, he should be firing on all cylinders but he needs to rediscover his form. 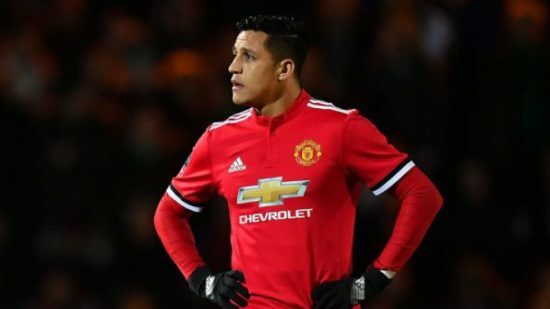 Jose Mourinho must be brave or Alexis Sanchez will keep wallowing in mediocrity.